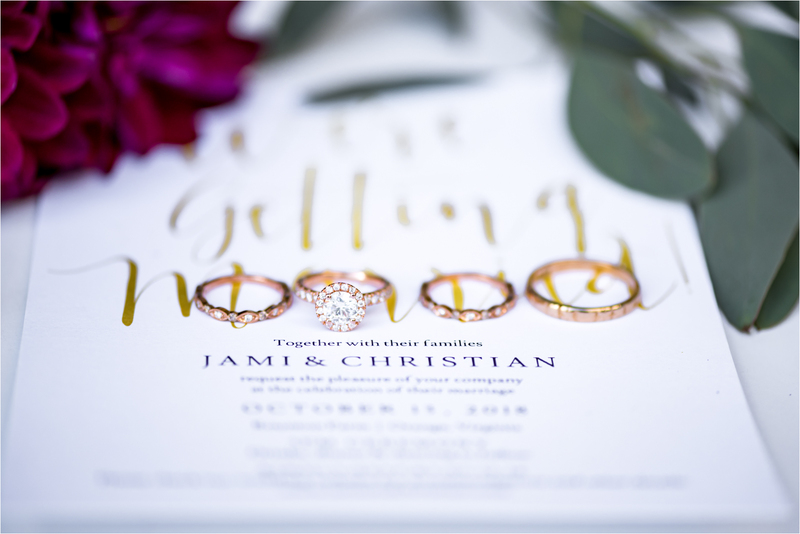 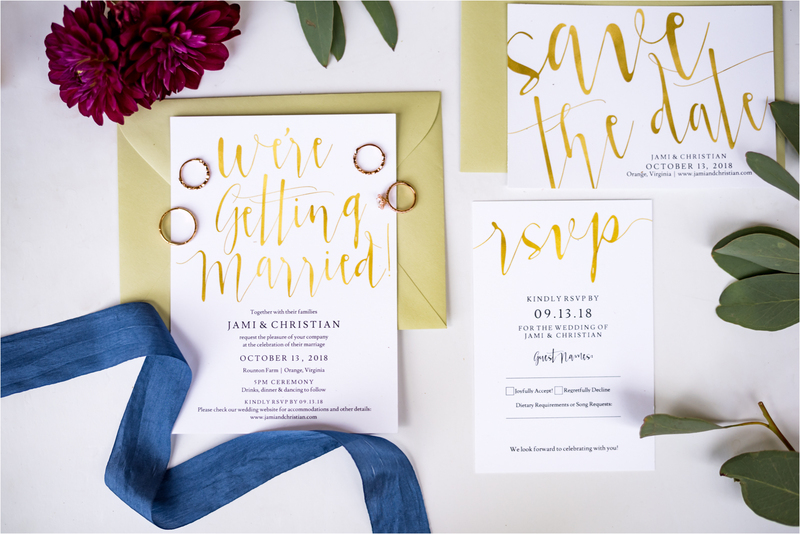 Jami and Christian are the kind of couple that when you meet them, you just know they’re meant to be together. 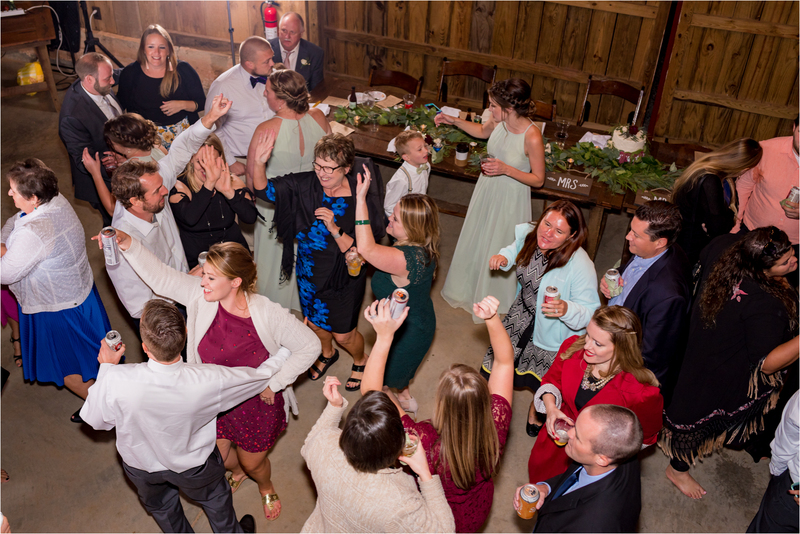 And literally everyone thinks so. 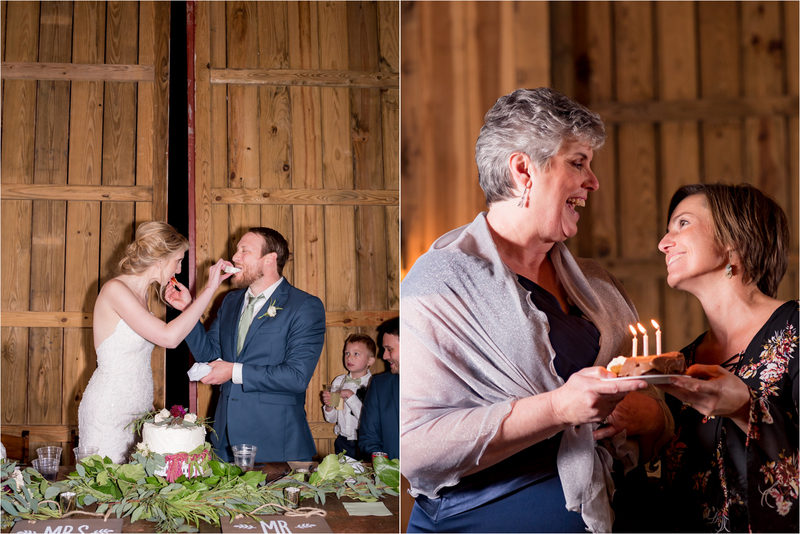 More than once on their big day the word “finally” was muttered regarding their marriage. 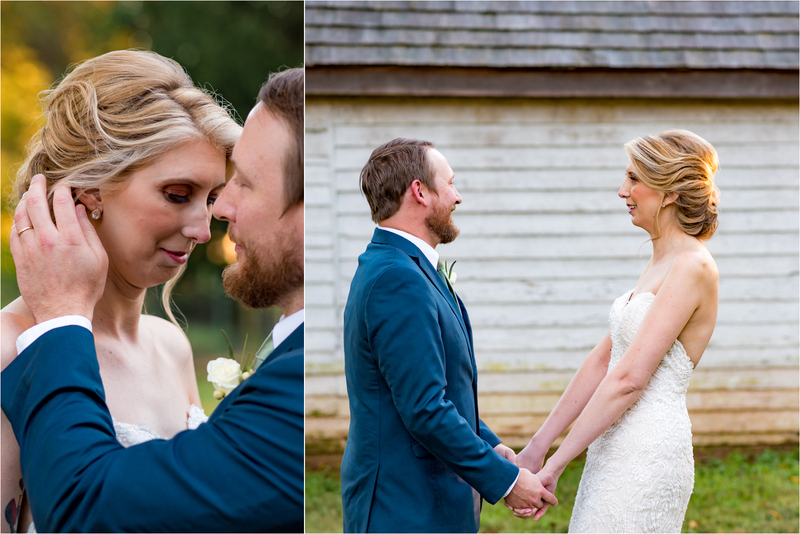 “You’re FINALLY getting married!” “This day is FINALLY here!” As soon as they met it seemed that everyone just knew – these two were destined for each other. 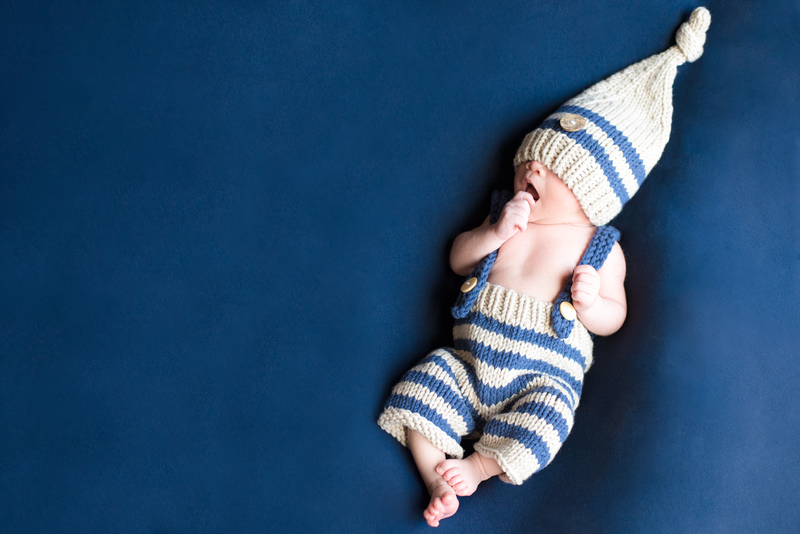 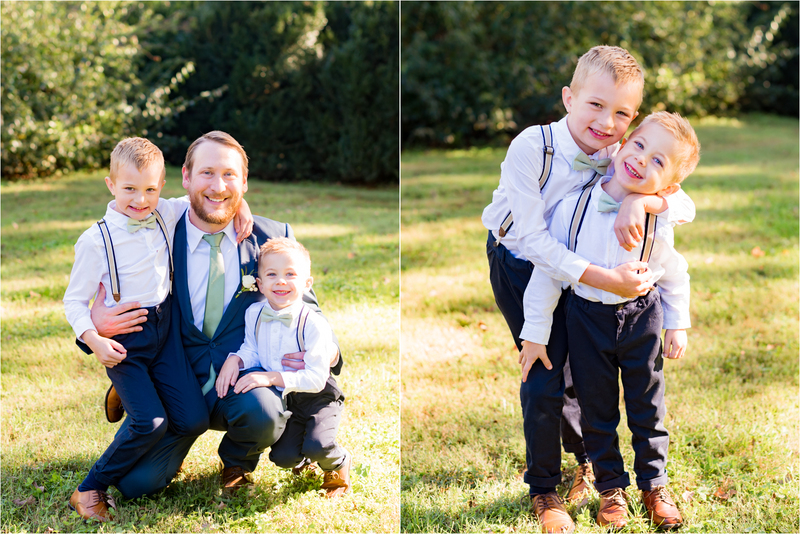 They are sweet, fun, and they spend a lot of time joking and laughing together. 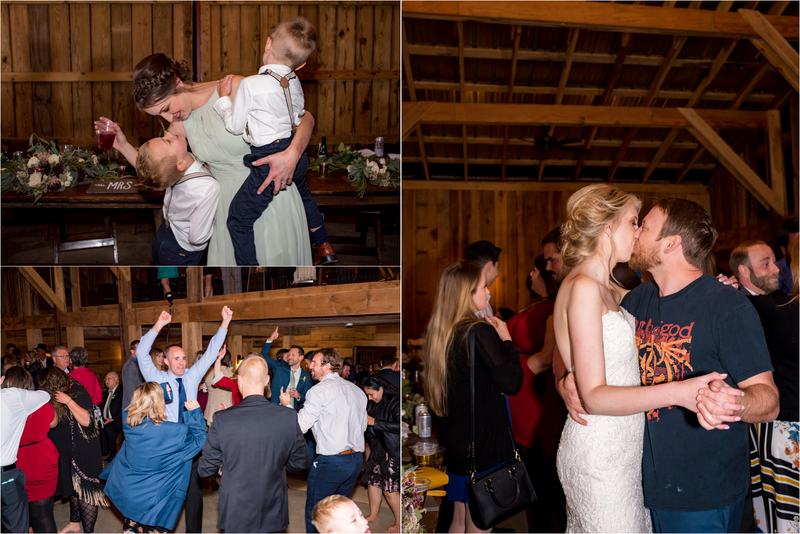 And they genuinely seem to enjoy every minute that they’re together. 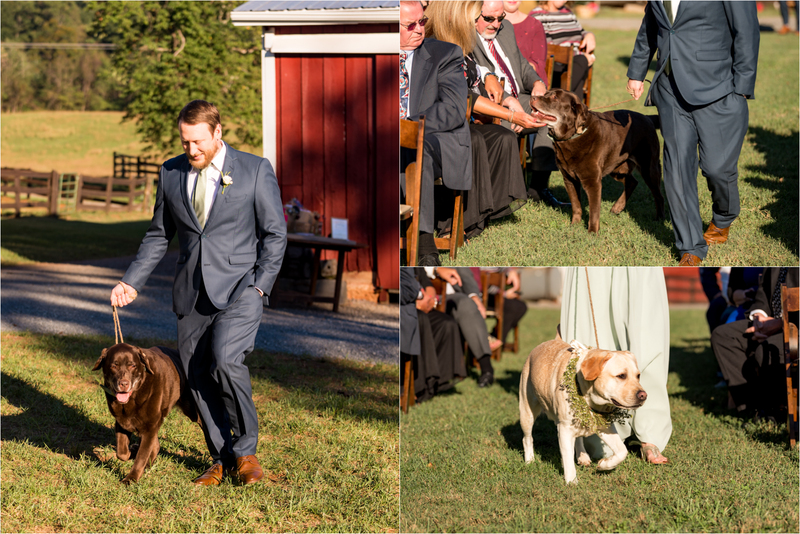 Much of their time is spent outdoors with their two dogs, Hank and Taylor, in tow, together and enjoying nature. 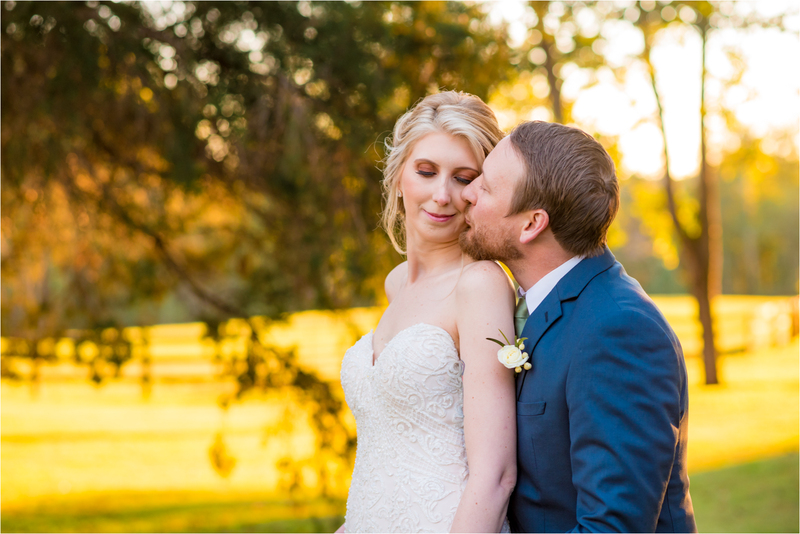 And when asked to describe their relationship in one sentence, their response? 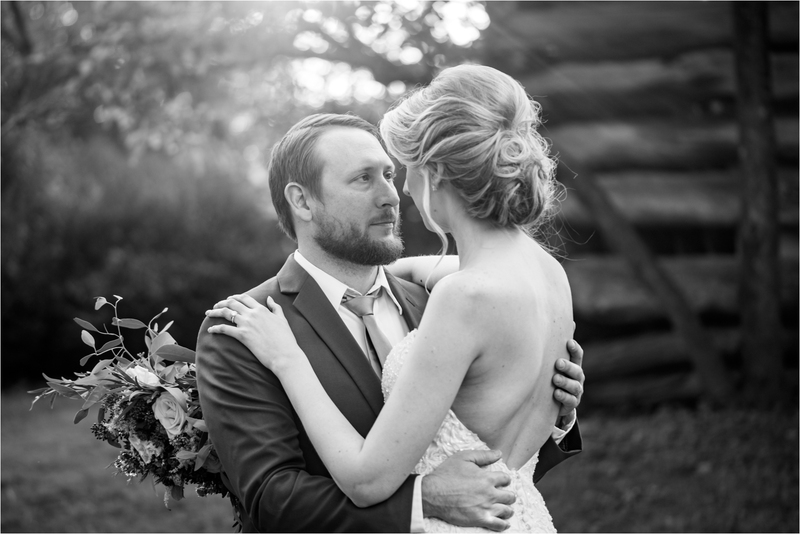 “The best relationship ever”. 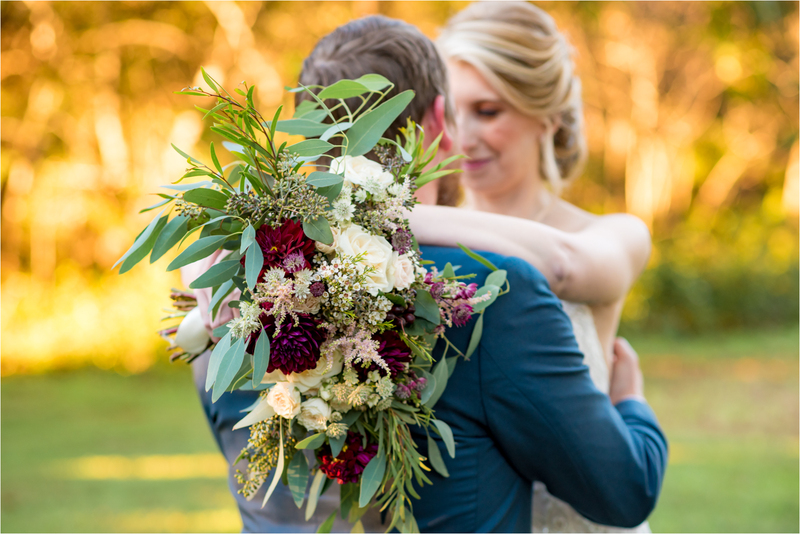 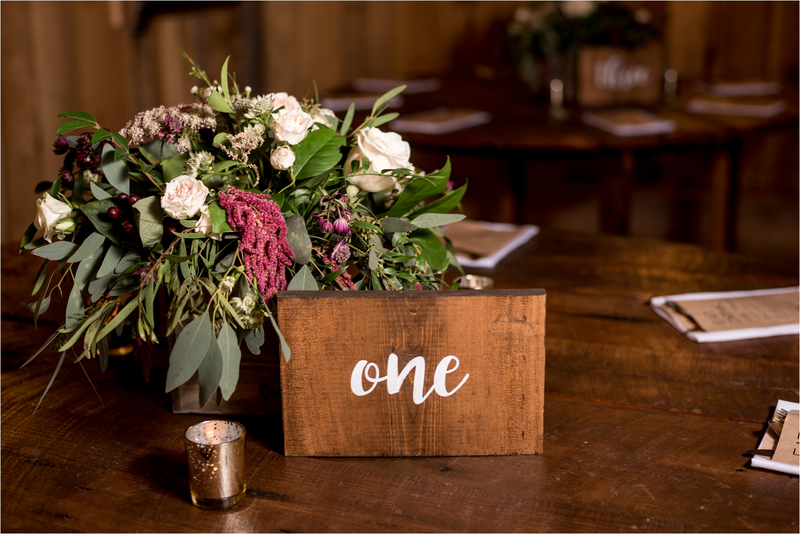 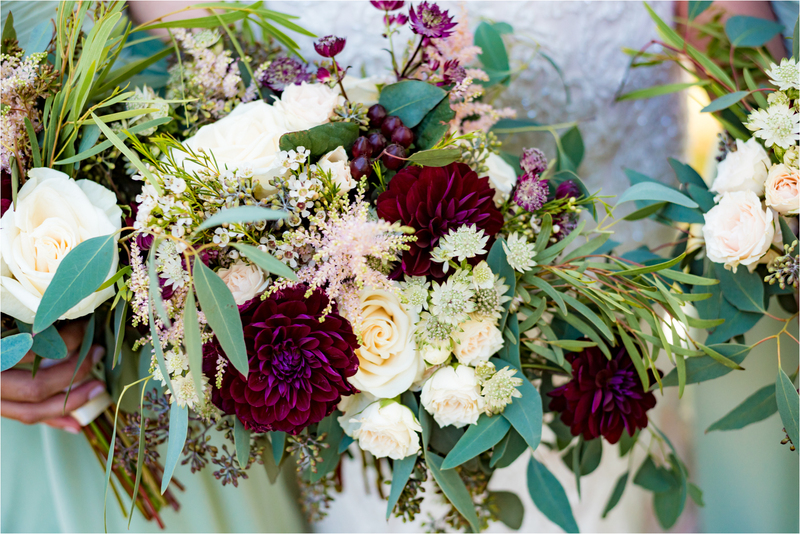 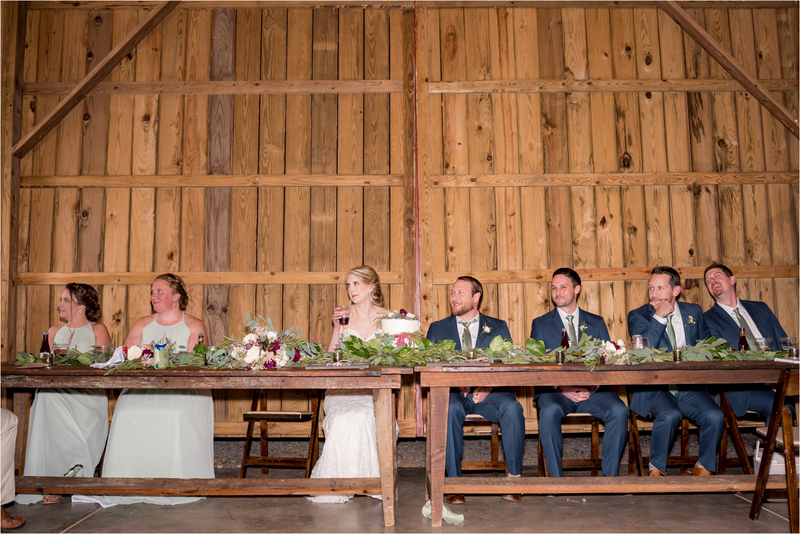 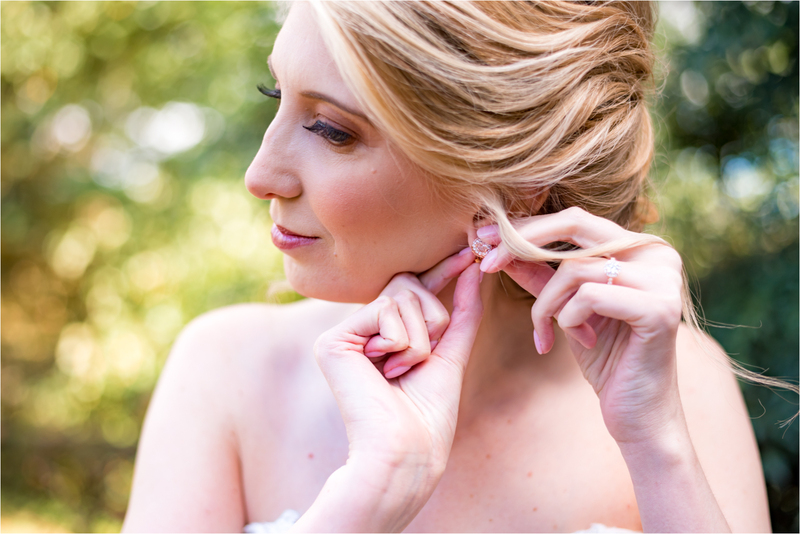 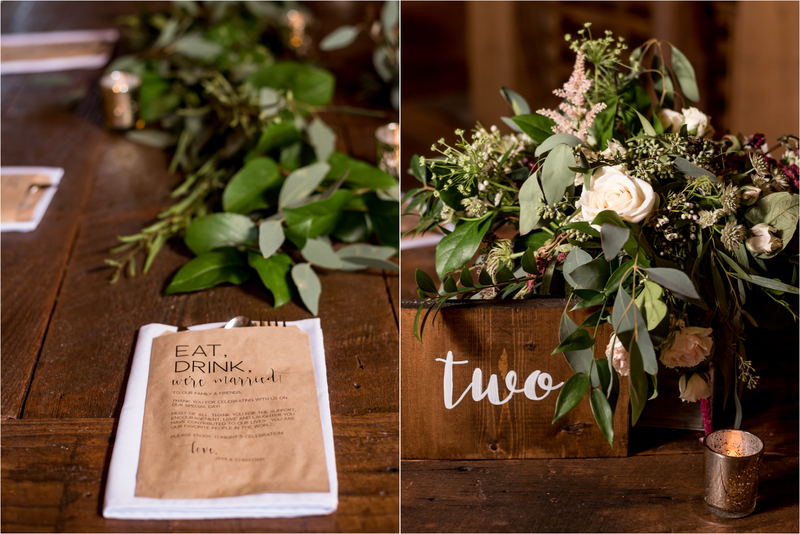 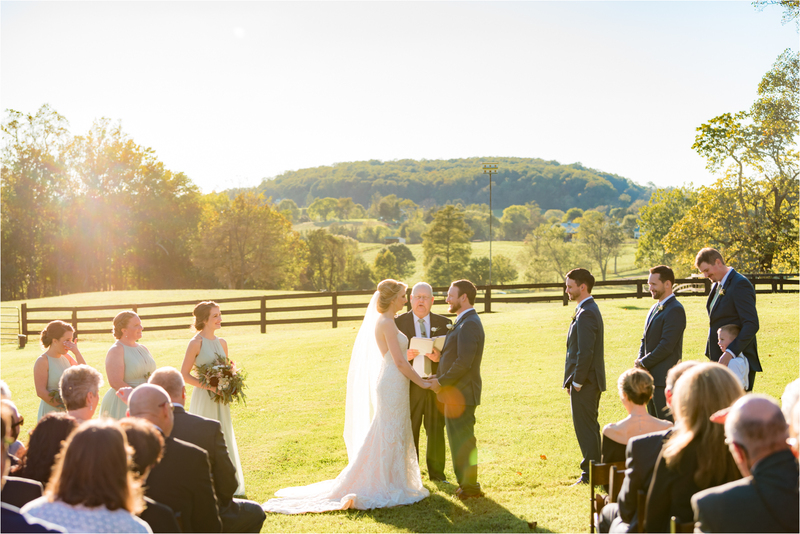 After getting engaged while camping with friends and family, they quickly set to work planning their perfect rustic wedding day at Rounton Farm. 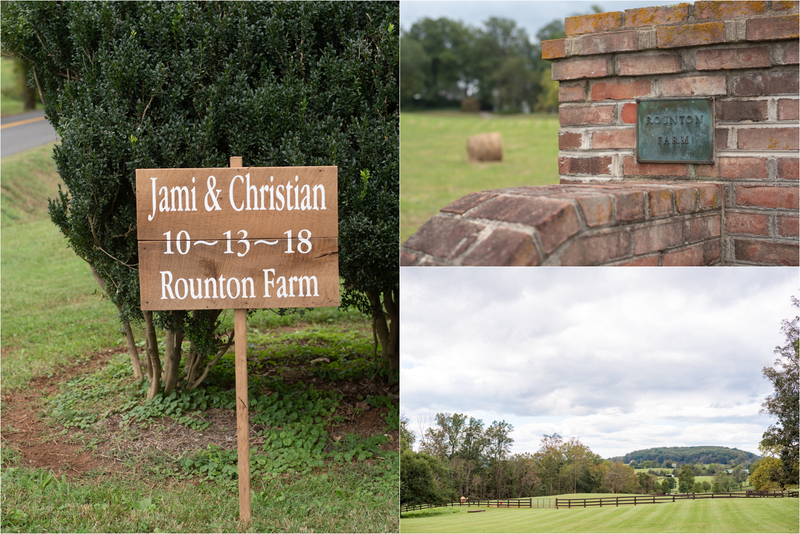 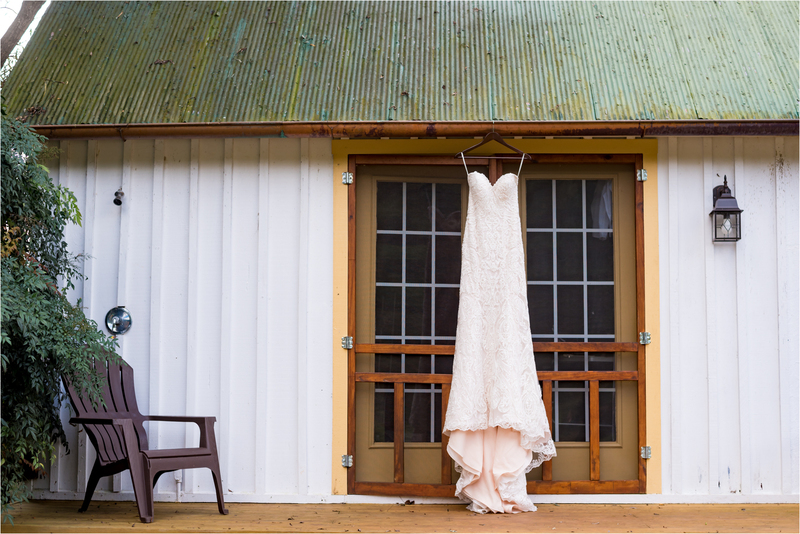 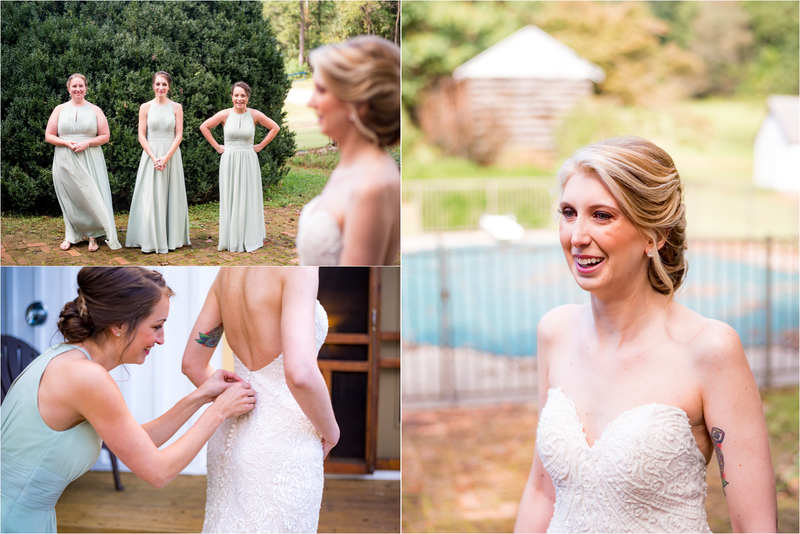 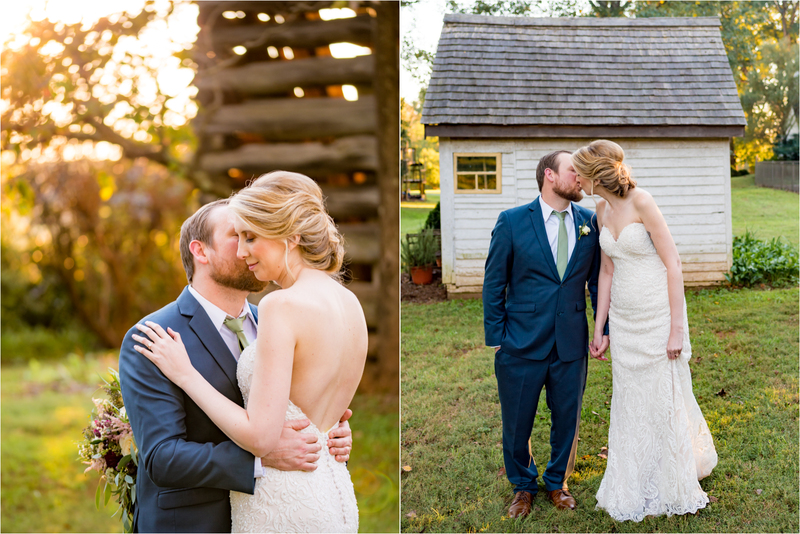 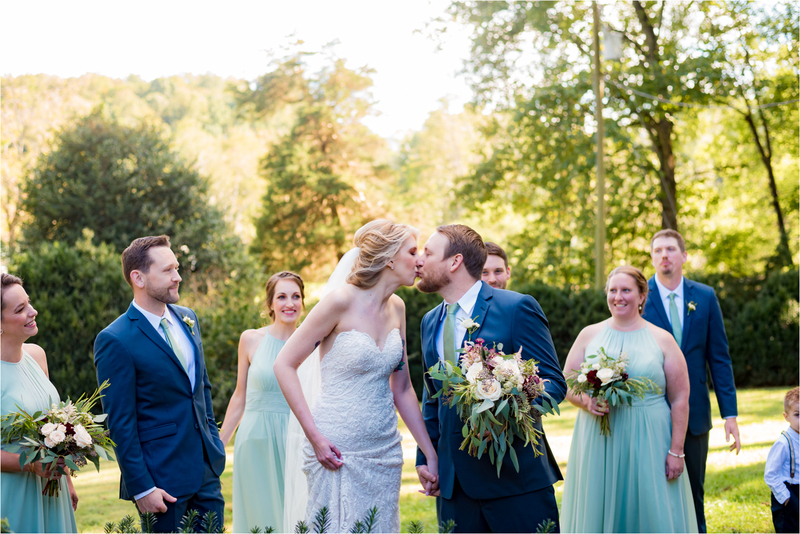 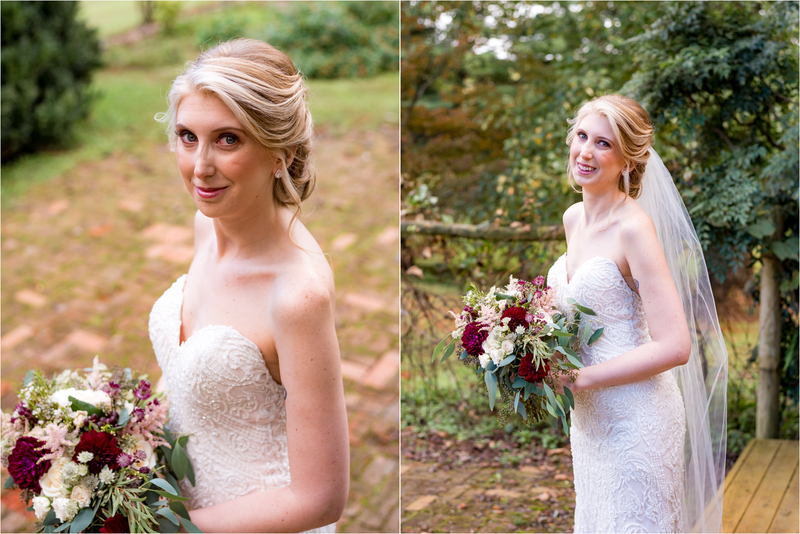 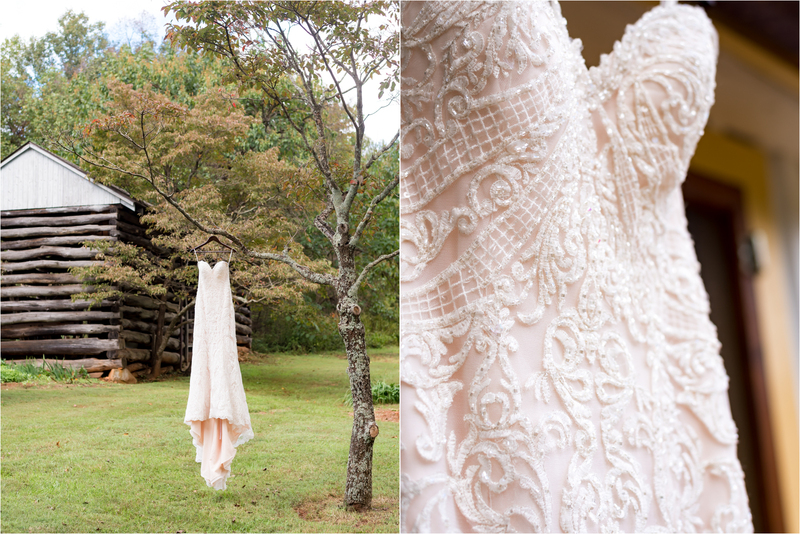 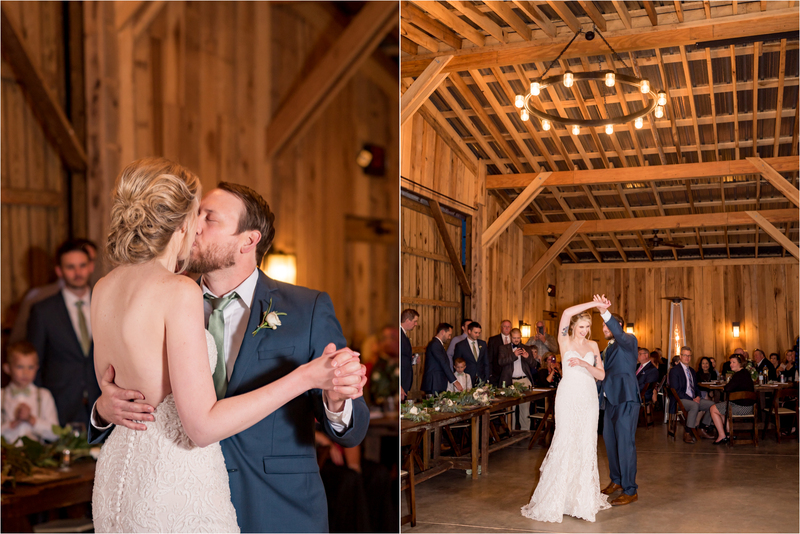 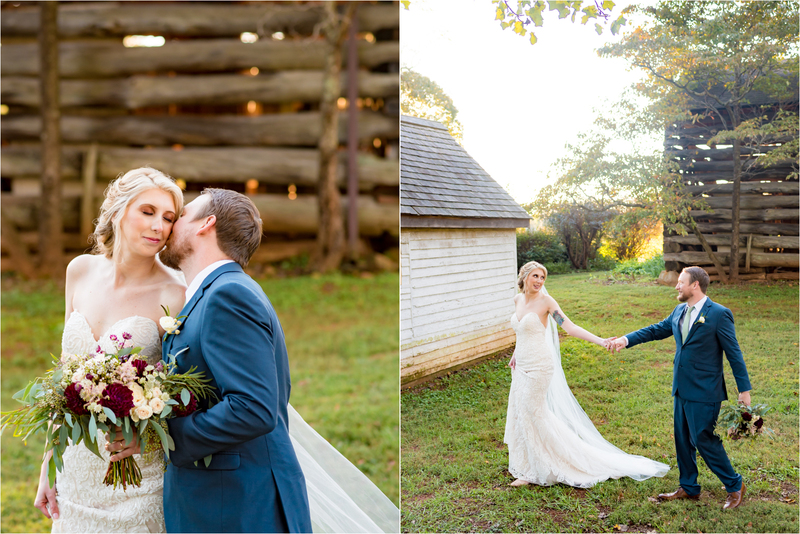 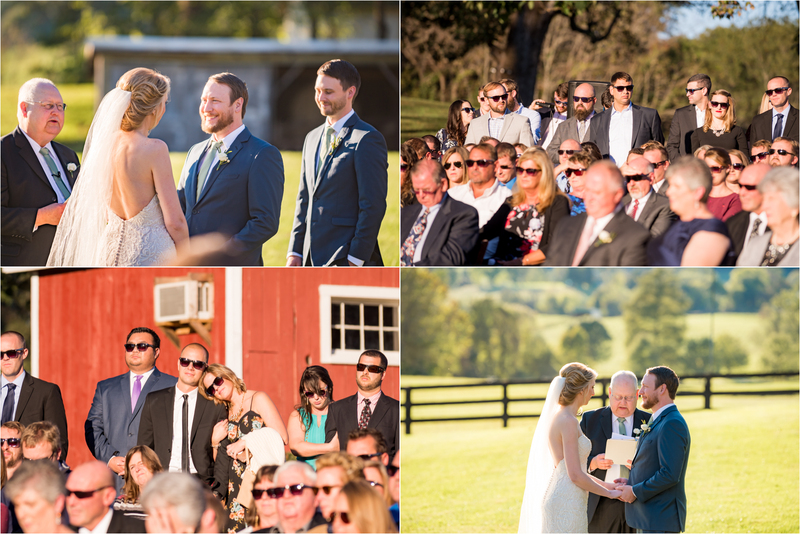 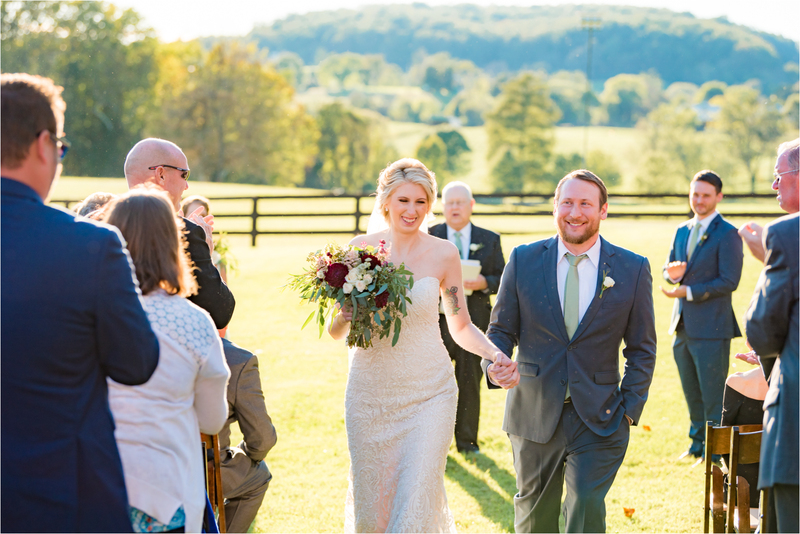 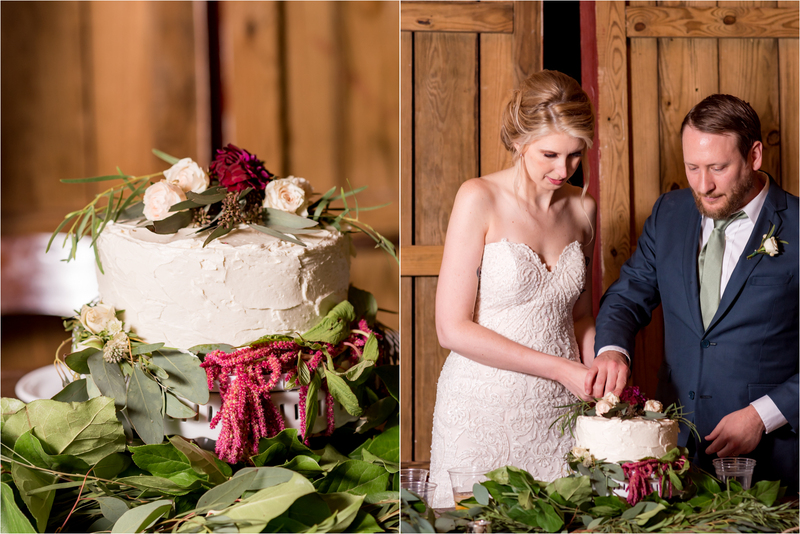 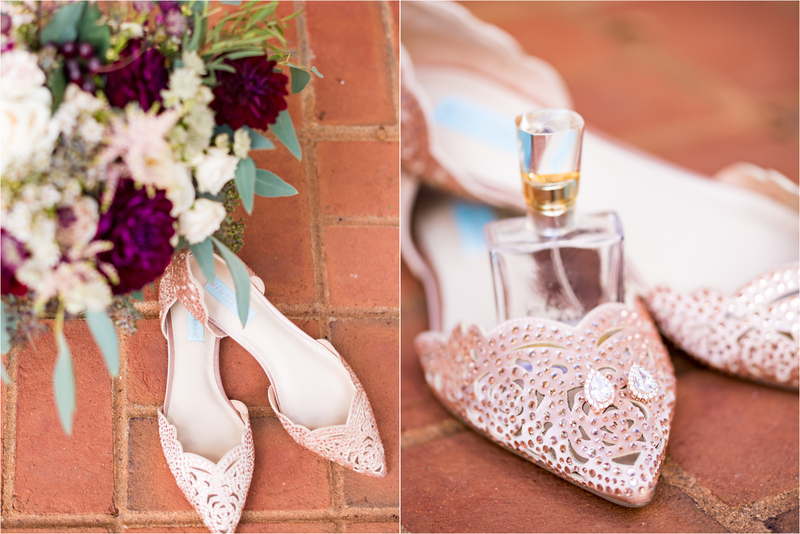 Rounton Farm is a gorgeous, rustic wedding venue located in Orange, Virginia. 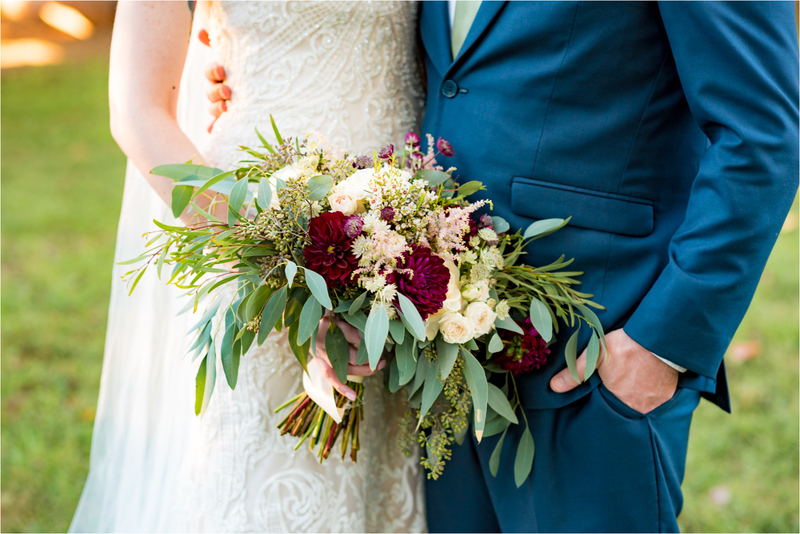 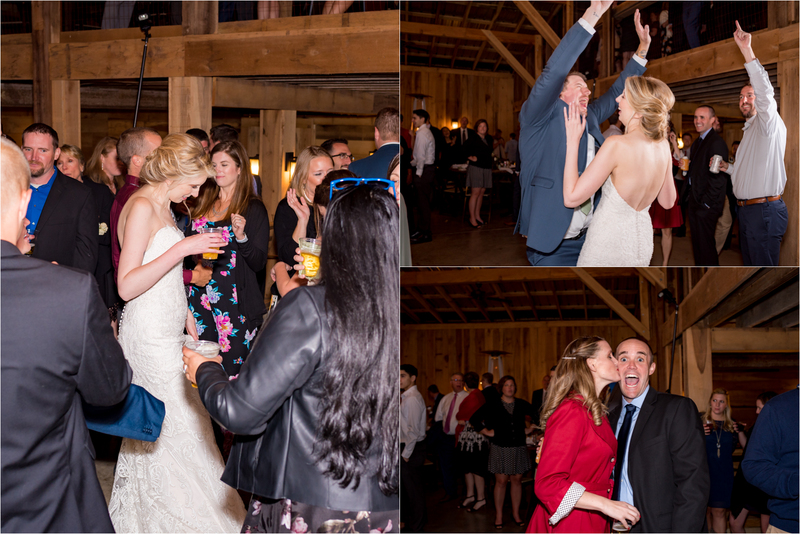 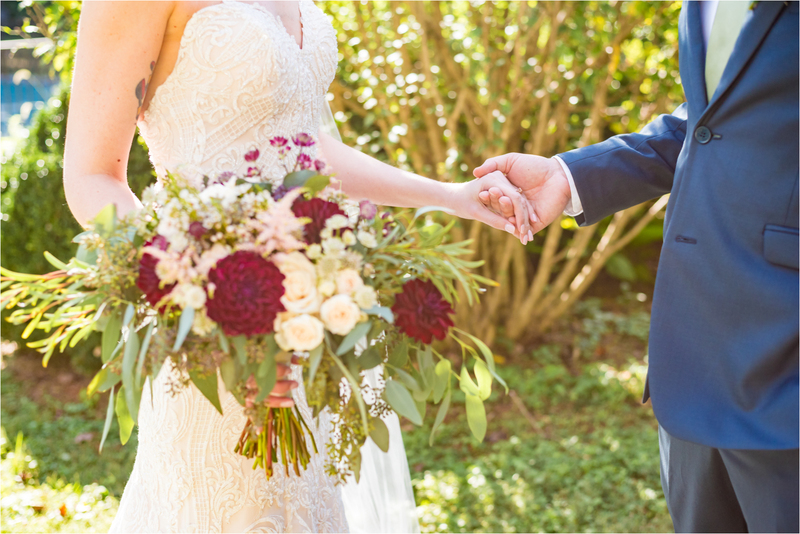 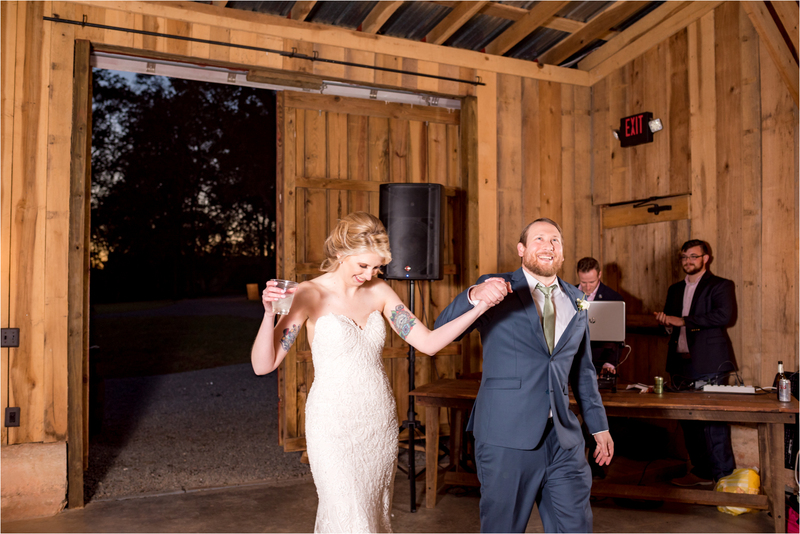 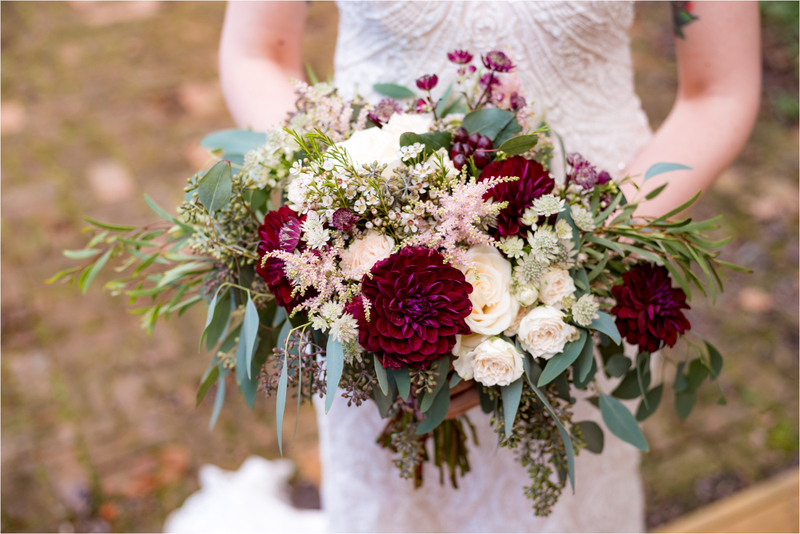 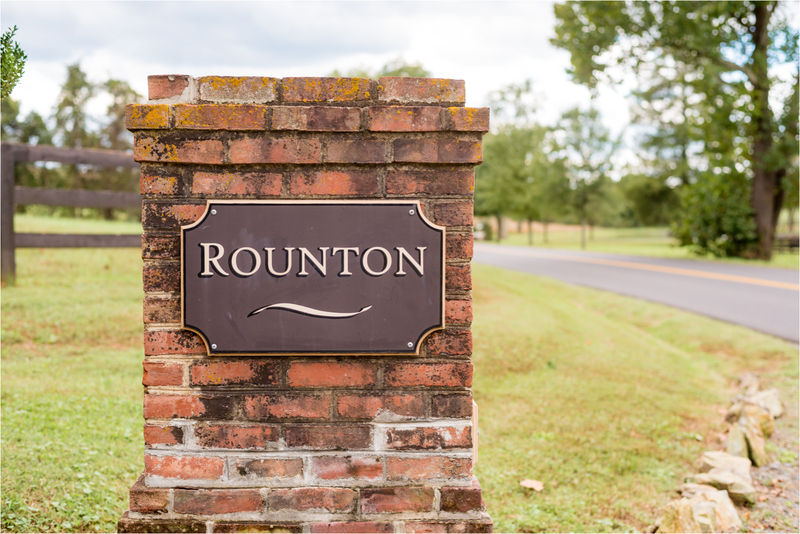 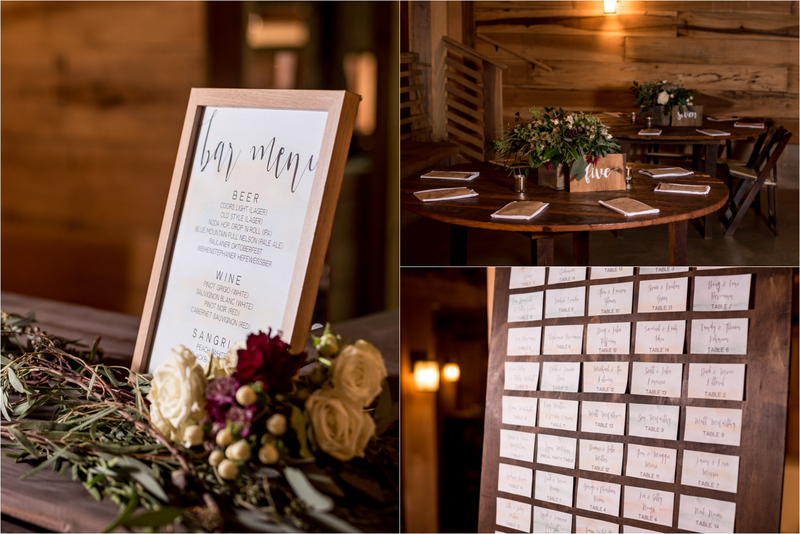 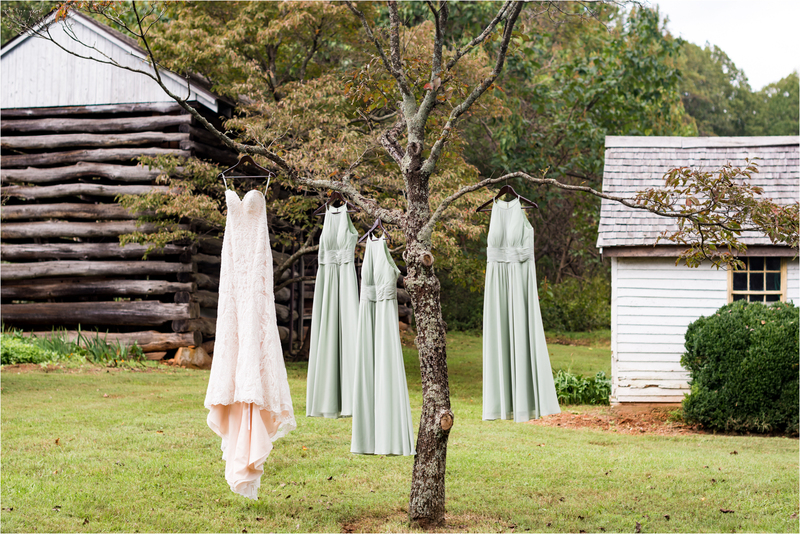 Located two hours northwest of Richmond, Virginia, Rounton serves as a fully functioning farm AND rustic wedding venue! 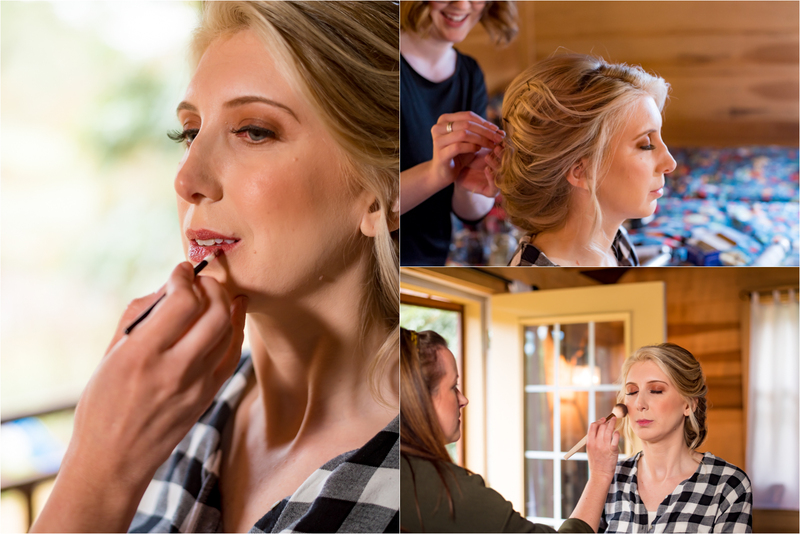 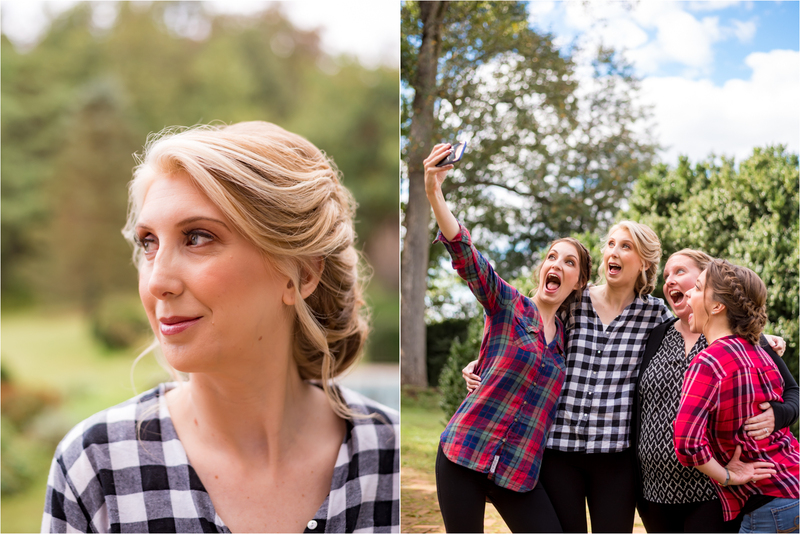 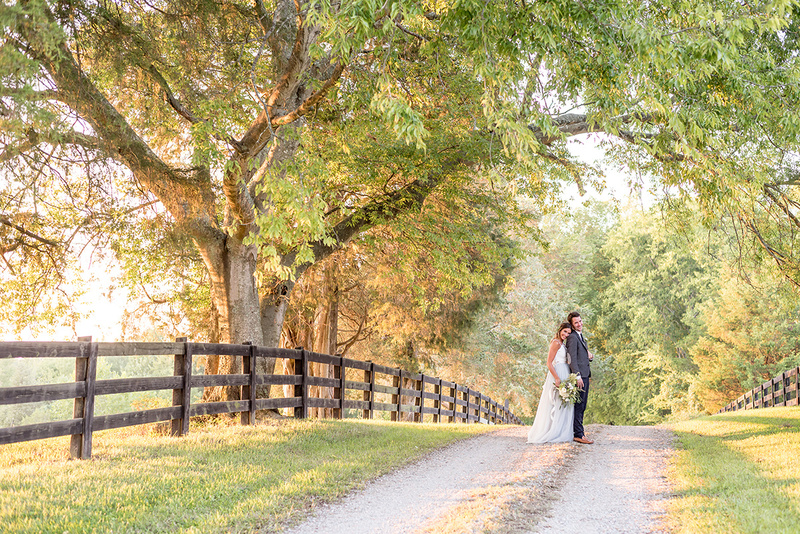 Jami and Christian spent the morning of their wedding on the farm’s grounds getting ready for their big day before their first look! 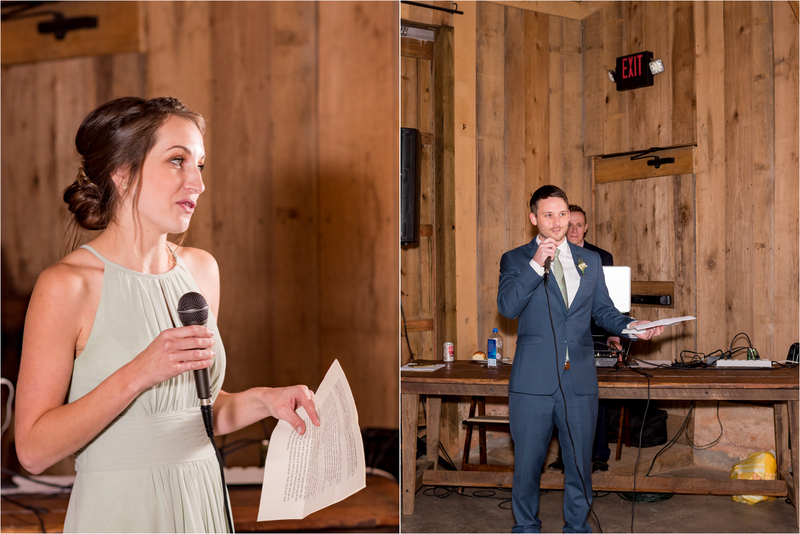 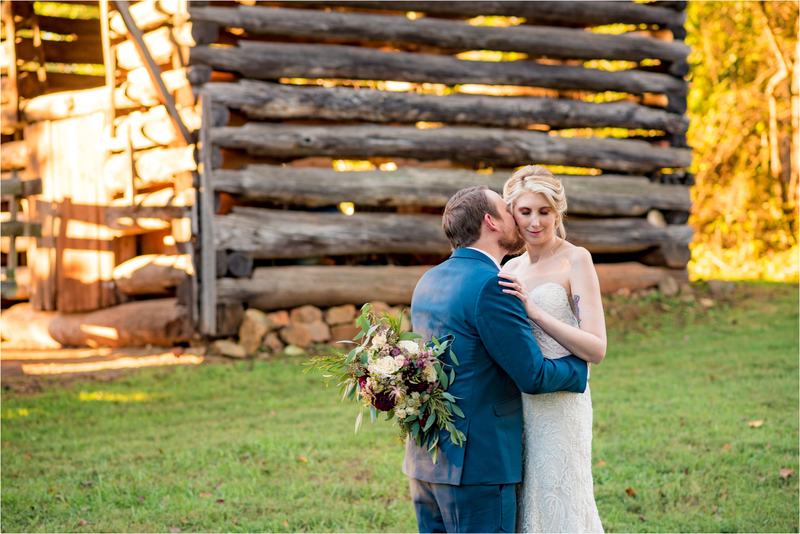 Behind the log barn, Christian first saw his beautiful bride for a quiet moment together before becoming husband and wife. 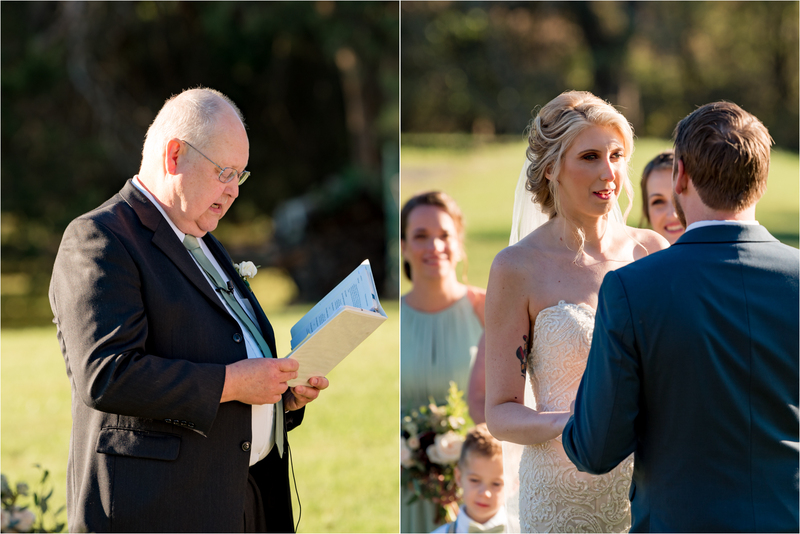 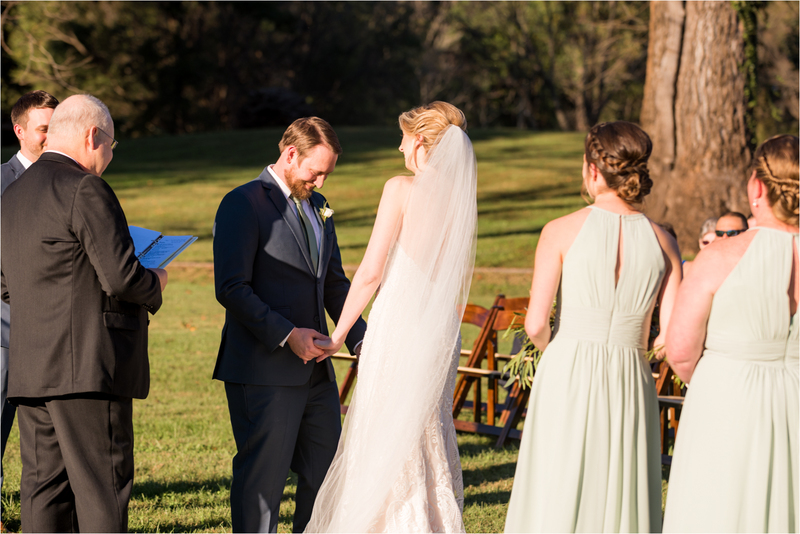 Christian’s father, Bob, presided over the happy couple’s ceremony while their guests enjoyed the setting sun over the mountains behind them. 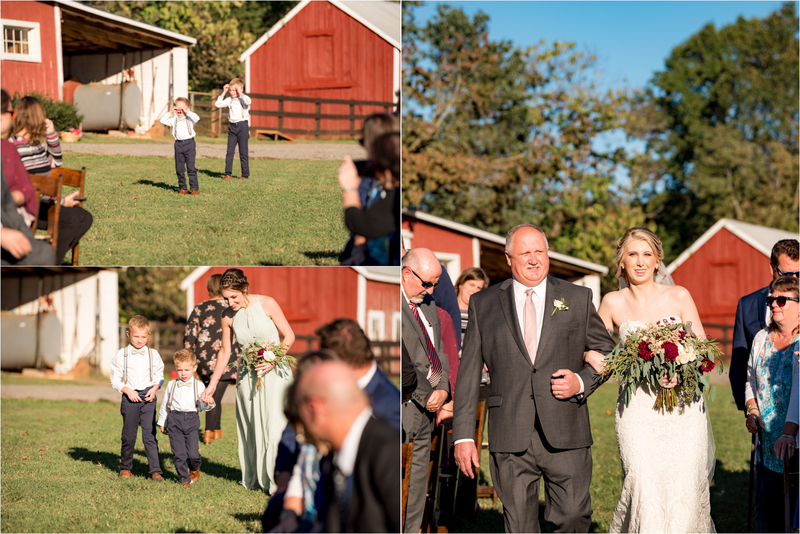 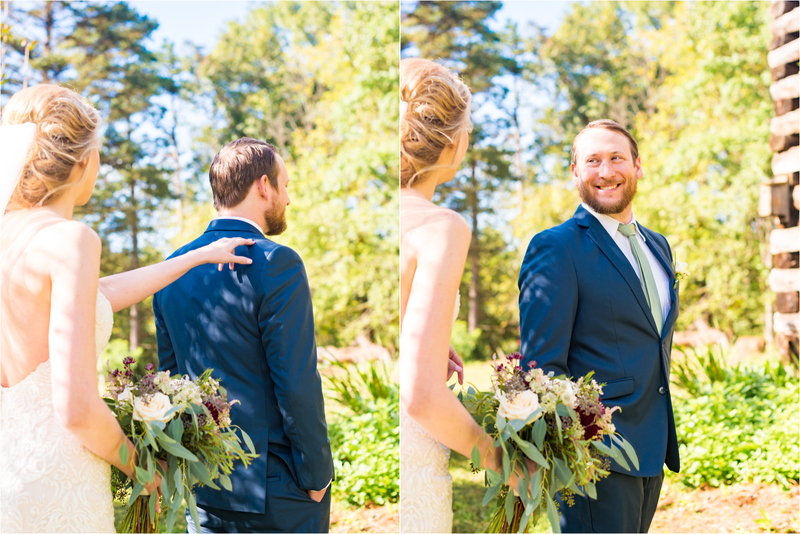 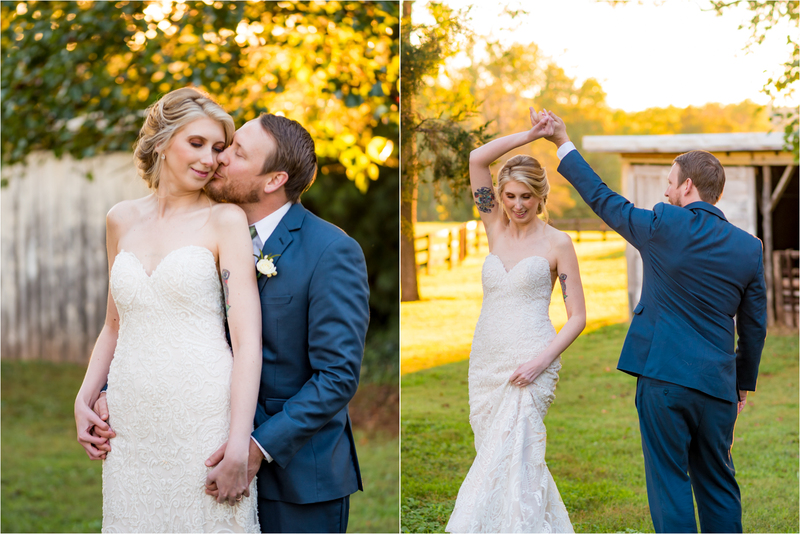 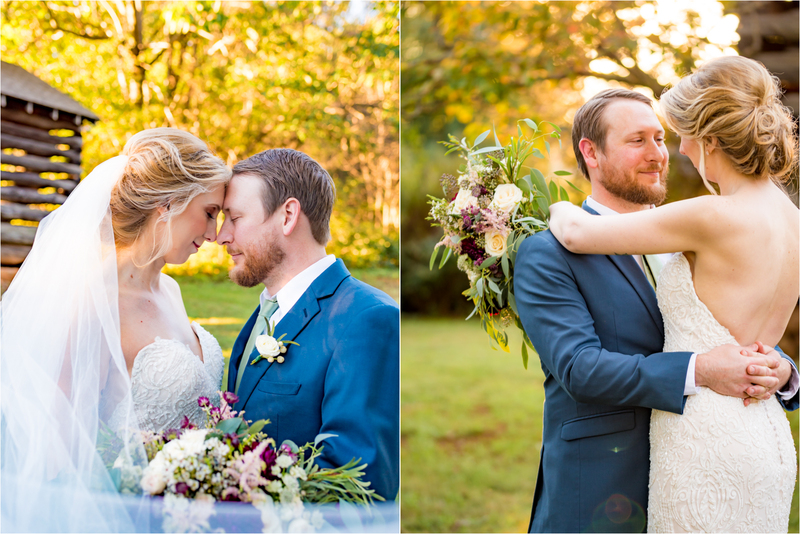 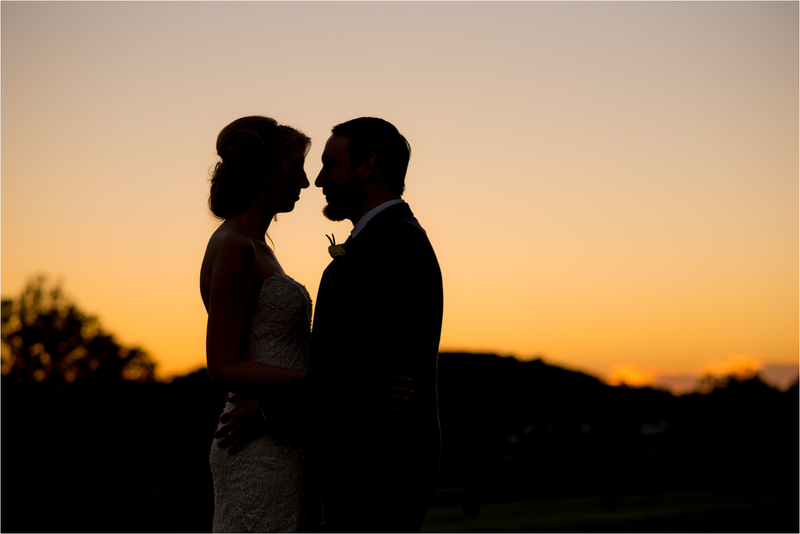 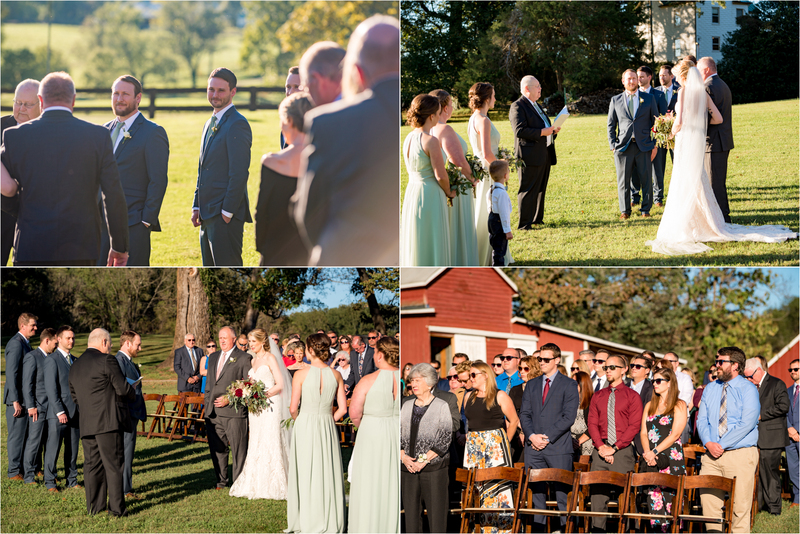 After the ceremony, we took a stroll around the grounds to capture some images of the sweet bride and groom before joining Jami and Christian’s family and friends in the barn for their reception. 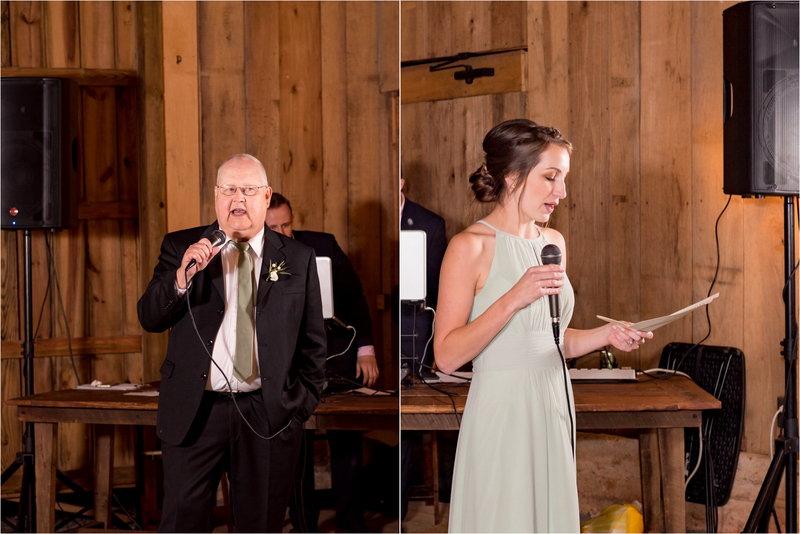 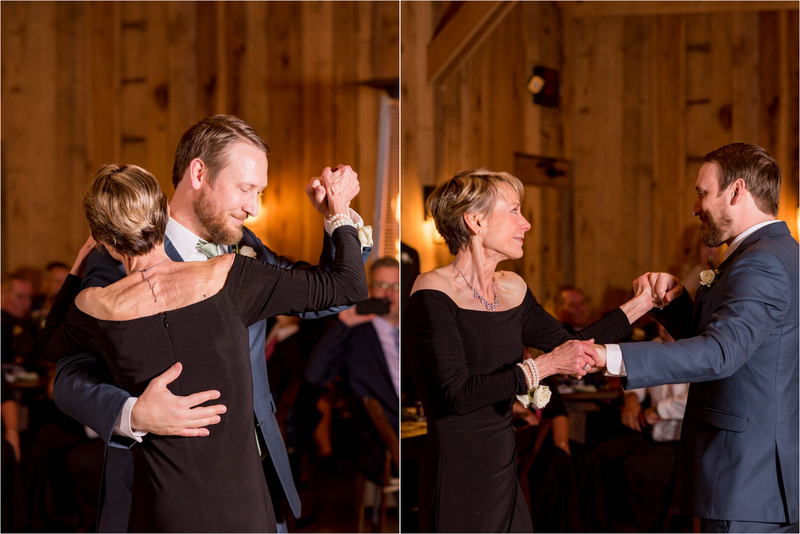 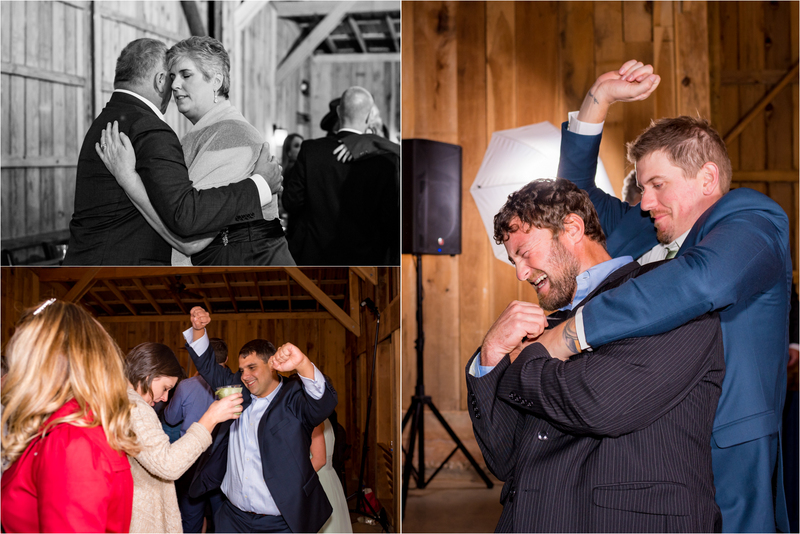 After their special dances, everyone sang happy birthday…since the couple – who met on Christian’s mom’s birthday – got married on Jami’s mom’s birthday! 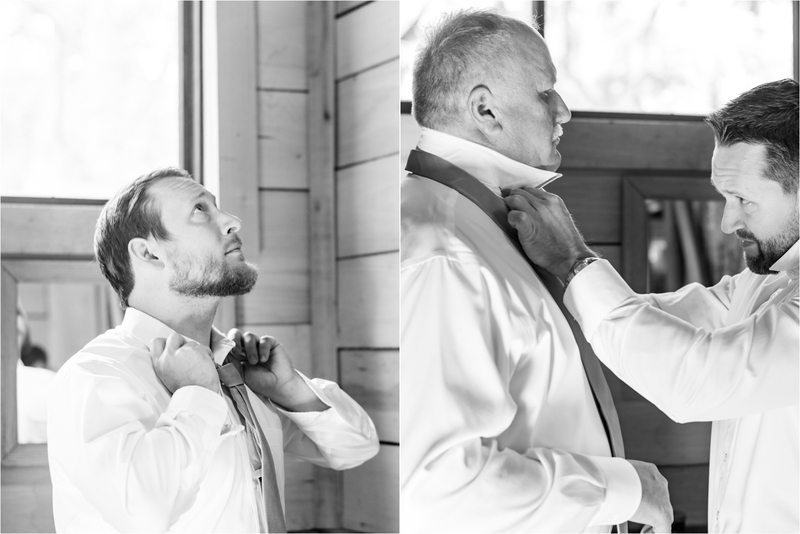 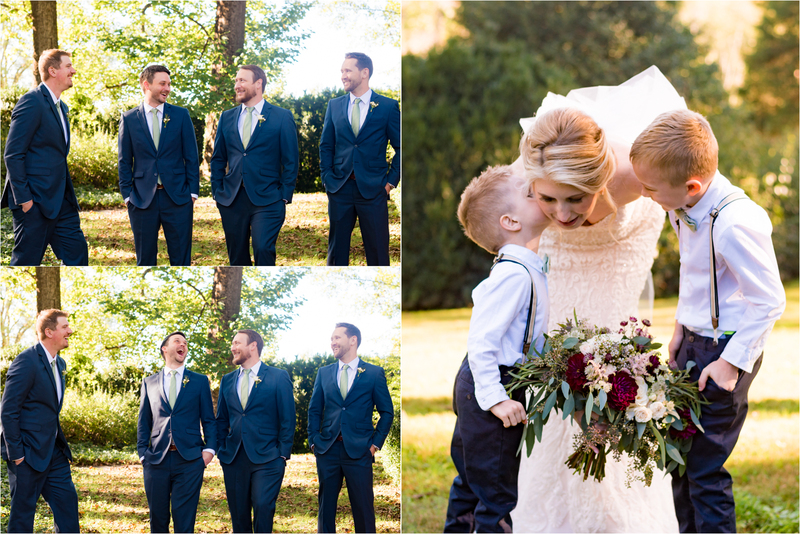 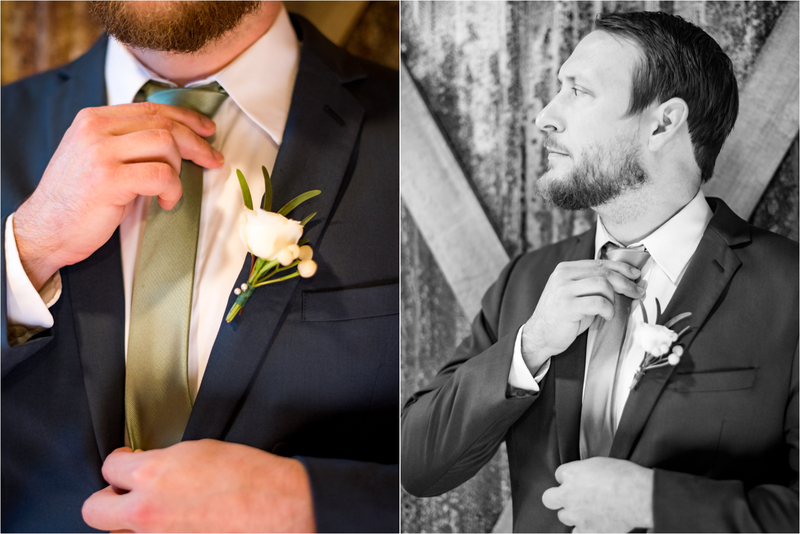 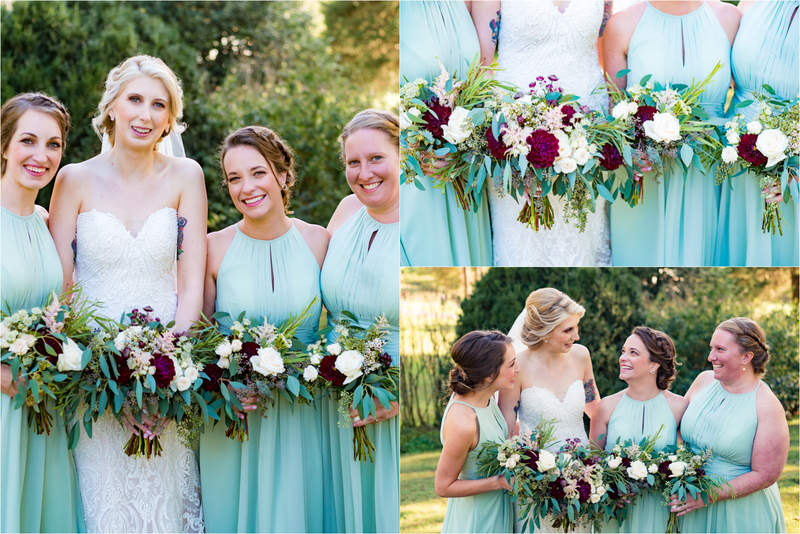 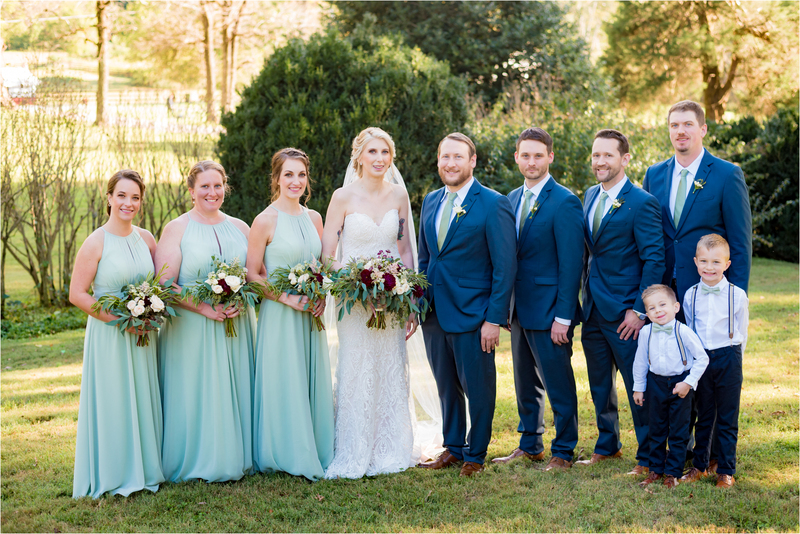 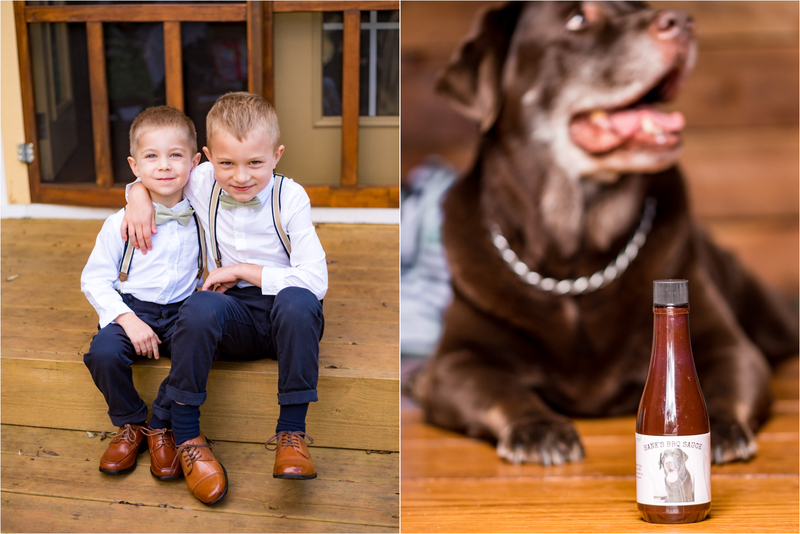 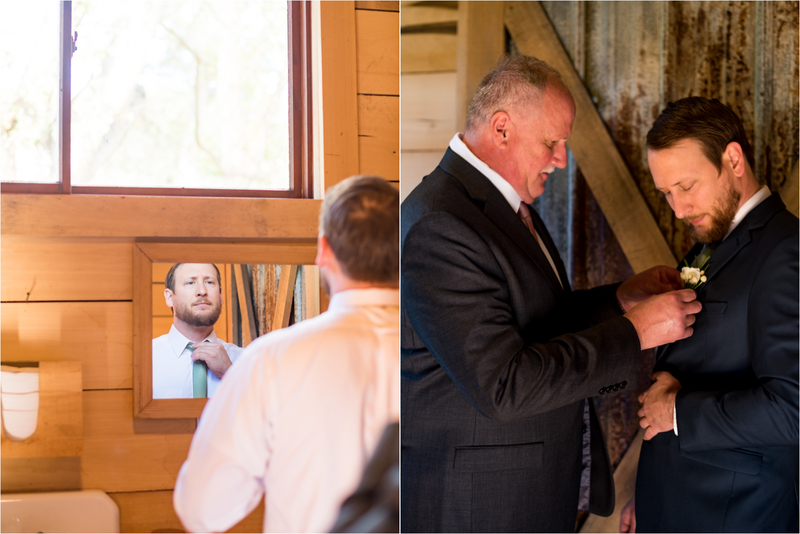 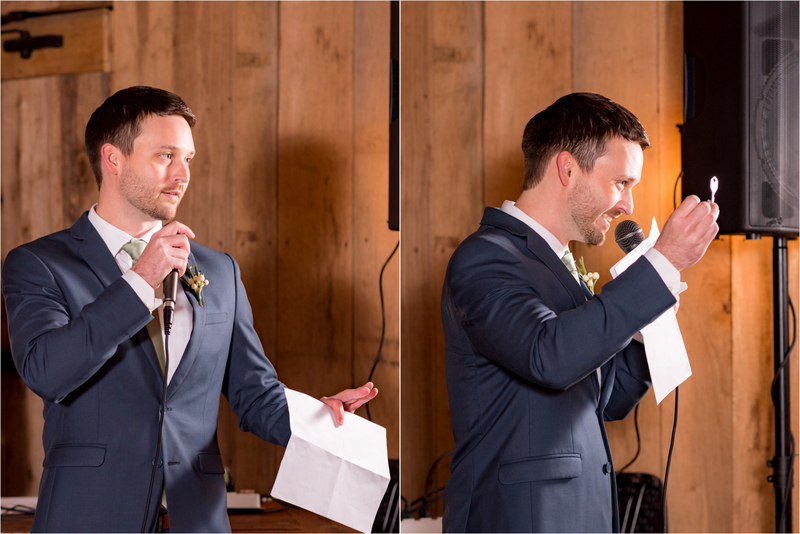 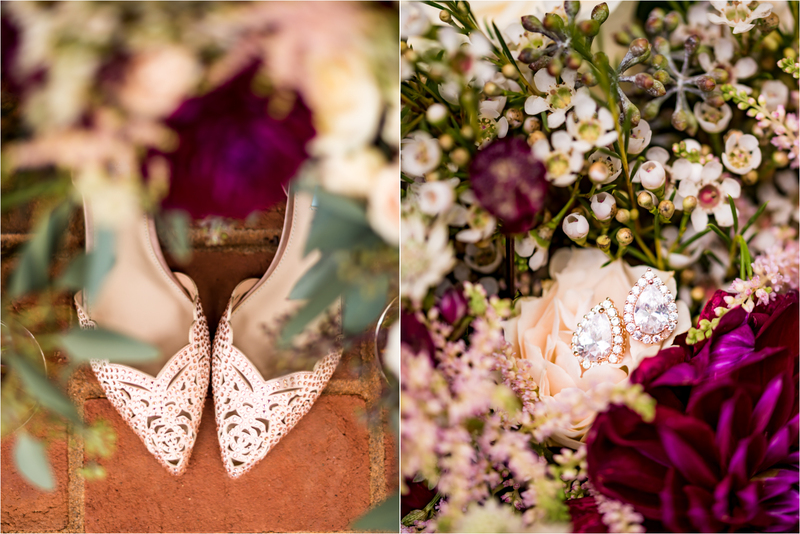 Their special evening then included a wardrobe change…for the groom! 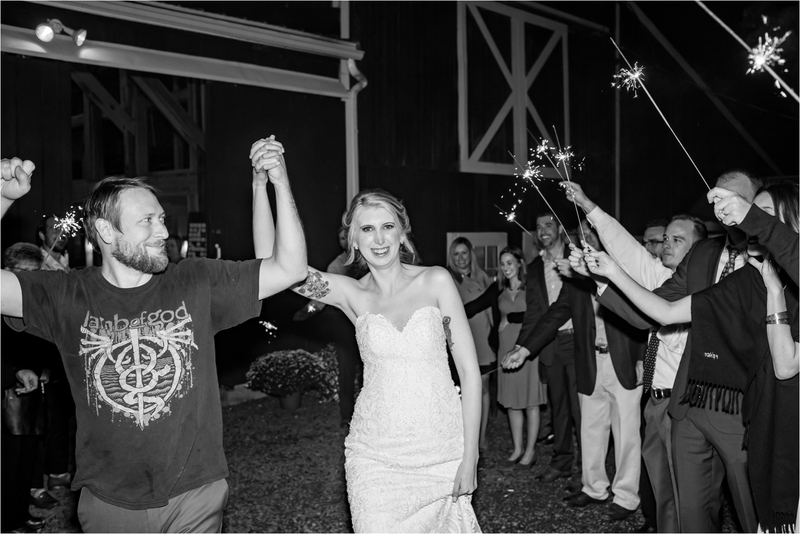 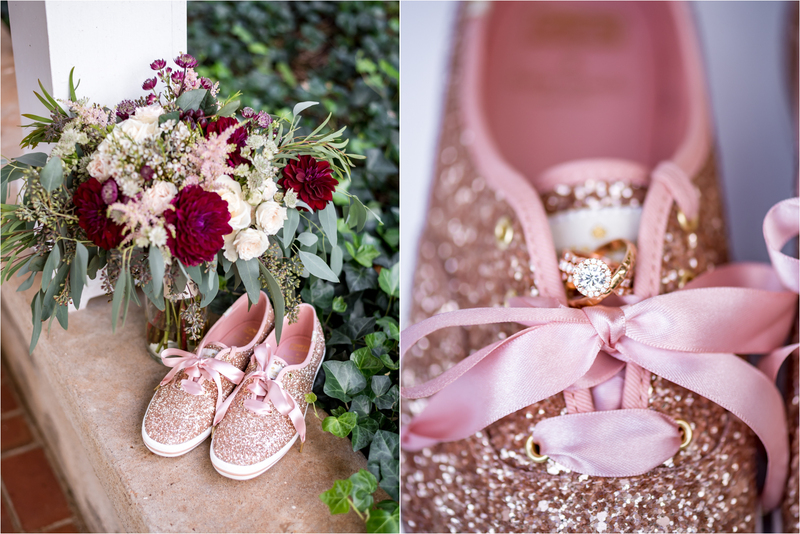 – before sparklers completed their perfect day <3. 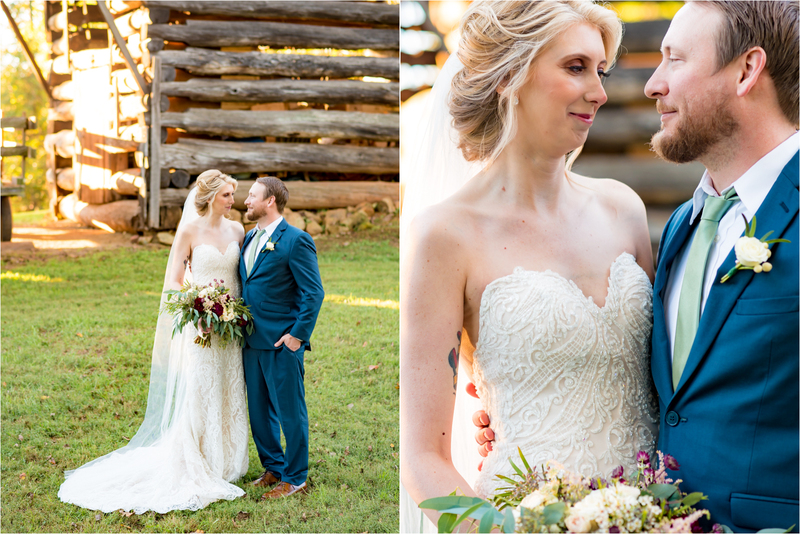 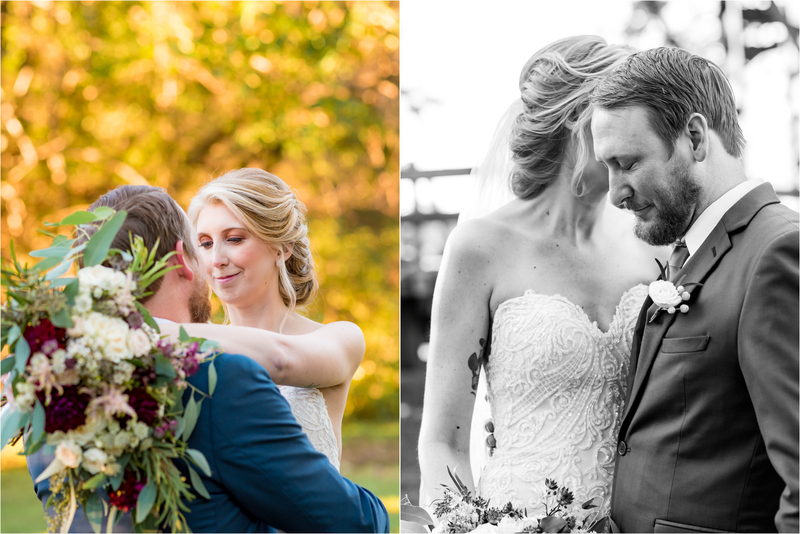 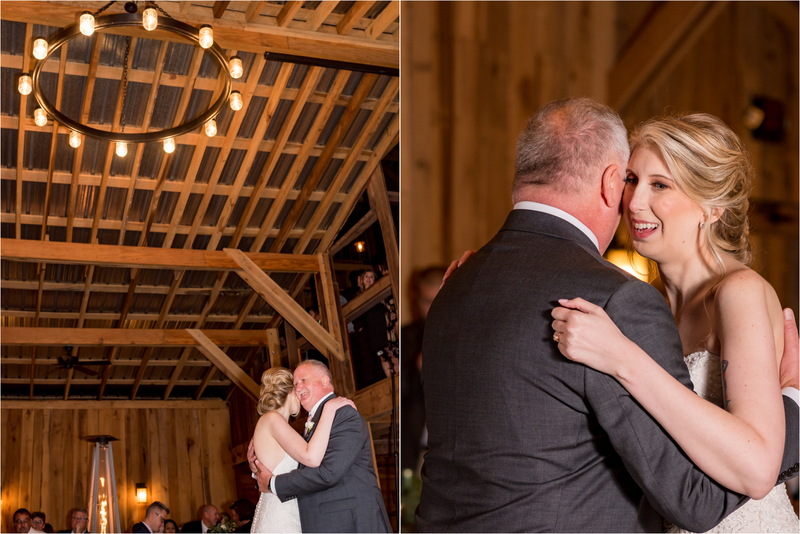 Jami and Christian, I absolutely LOVED capturing your stunning rustic wedding at Rounton Farm and wish you all the joy in the world! 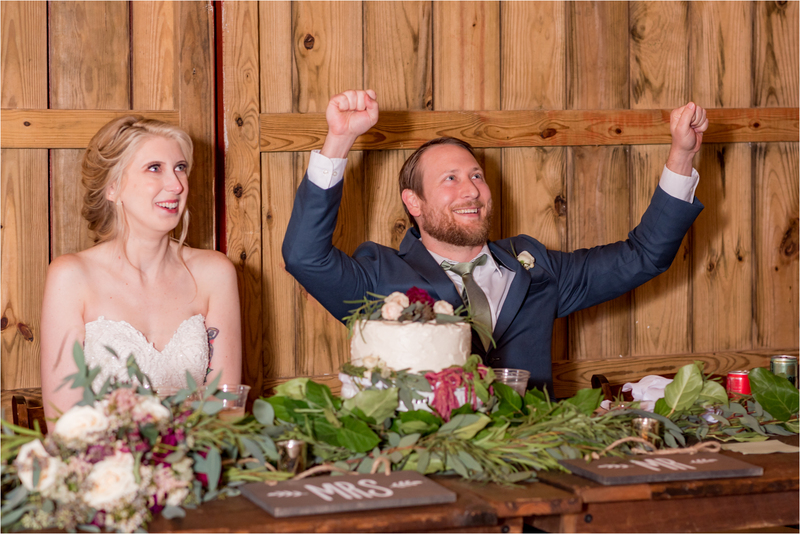 Here’s to a lifetime of happiness you two!